Today it is evident that it can no longer be what it has been for millions of years. The atomic energy, GMOs and telecommunications companies are not the same as in the early part of the twentieth century, and less so in previous centuries. I want to emphasize that what we propose is nothing revolutionary in a violent sense: it is a cultural revolution similar to that which marked the passage, some centuries ago, from the attention to the afterlife to the concrete, visible world, that all we know and resulted, starting from humanism, in the Renaissance, causing a huge ethical-scientific-social change. The occult sense, but not at all, to focus today on the scientific aspect is that there are new methods of research. There is a change in methodology that would inevitably lead to the first scientific, but subsequently, of the whole society. Doctors and Limav can make a big contribution to this. None of us want to impose this change; none of us want to impose new methods with violence, or by prohibiting other methods. We do not want to use the same mode and behaviors that have been used against us, that is violence, obvious or occult. For example: insults, accusations of ignorance, or accusations of being emotional and visionary. We all have a curriculum that cannot be said to be emotional and visionary. We scientifically examine a method in the interest of everyone, not in the interest of mice against men or dogs against men. It is in the interest of all the living being and ,above all ,men: therefore, no absolute truths will be said to believe in faith. It is not scientific to believe in faith that we have the soul and therefore we cannot be studied, while other animals have no soul and can therefore be dissected. We do not identify our method with science, while experimentation on animals is a method that has been identified with science and science itself has become that method. Denying obviously is lawful, if scientifically proven, not by faith or by authoritarianism, that mistakes have been made. To resort to insults and denigration or to deform the words we make is not scientific or lawful. In this small room there are some of the leaders of the anti-speciesist and animalist movement. 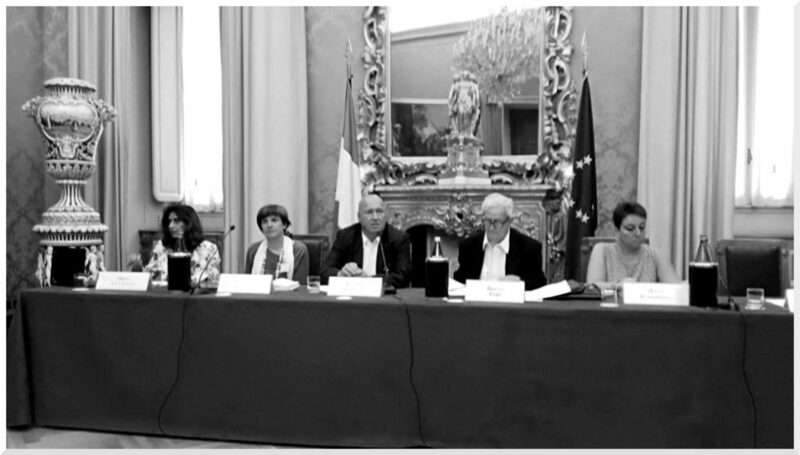 I myself am one of the founders of the anti-speciesist movement; Massimo Pradella is the general secretary of the reborn INTERNATIONAL LIMAV ; there is the president of LEAL, Prampolini, there are also businessmen of alternative scientific research, currently sitting at the Ministerial Table for Alternative Research. Are we all emotional and uninformed? Are we all carriers of obscure interests? Ministers and Members should listen to us. Do not listen to it means not wanting to know and this is not the task that has been entrusted to the ministers and deputies by the Italians.